We’ve used a large range of techniques to stablise our steep slope, you can read about some of them here, here and here. 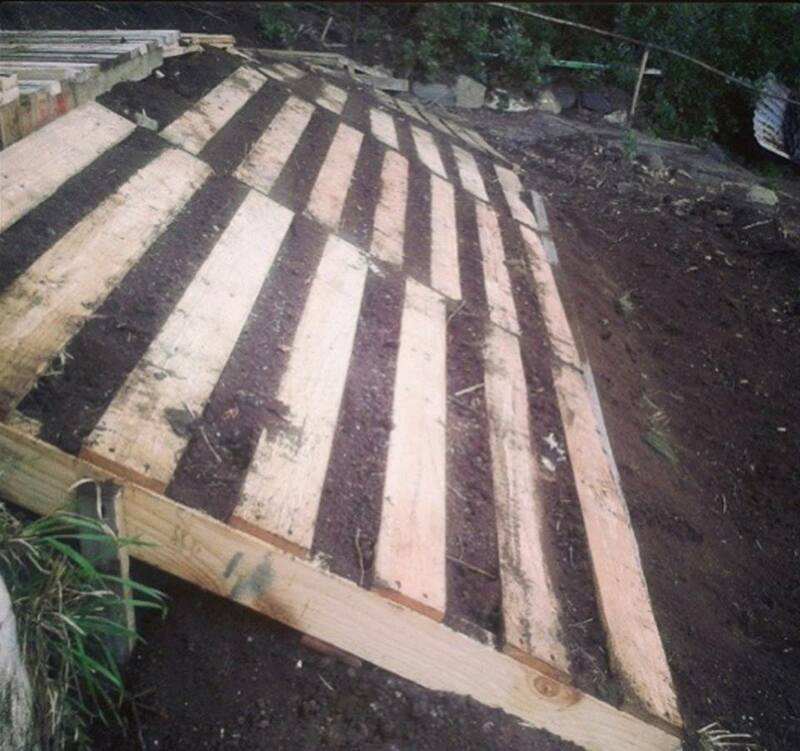 Yet another way we’ve used recycled materials to keep our slope from sliding down the hill is using timber pallets. We salvage these for free from the side of the road, building sites and warehouses. They’re treated with heat, so are chemical free – this means they’ll break down sooner rather than later, but before they do, you can use them in *countless* ways. 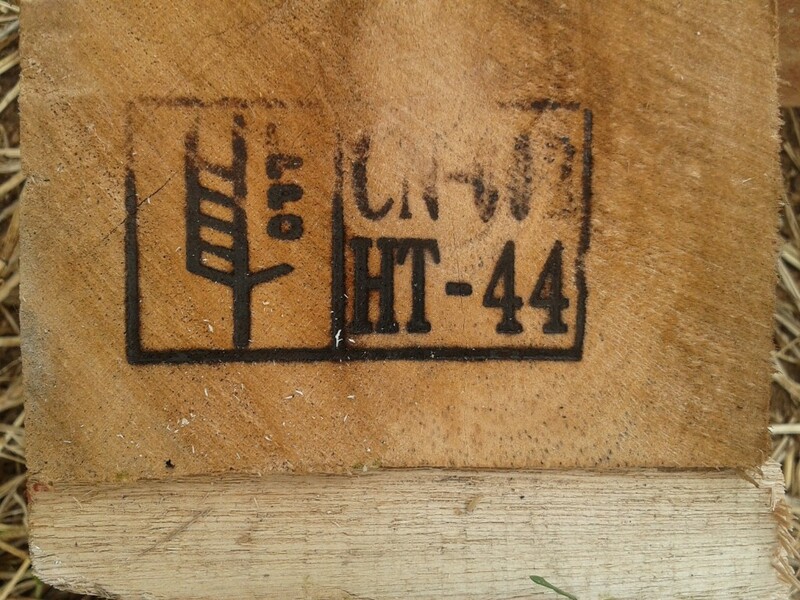 If you’re searching for some yourself, look out for the “HT” stamp on the pallet as seen below. We had never tried this technique before and seeing as it’s a super hot and dry slope, were unsure which plants would really thrive in such a compromising position (without heaps of pampering). Because of this, we initially planted a range of herbaceous, edible and native plants to ‘test’ which one/s would work. The winner (by far) was creeping boobialla (Myoporum parvifolium). We’re big fans of this vigorous native ground cover and have planted it in some of the hardest spots in our garden where not much else survives (except invasive grasses). One of these plants will happily cover up to two-three square metres densely which is absolute gold when you live on steep slopes. Check it out! You can see some of the pallet structure peeking out in the top left hand corner. Creeping boobialla puts down roots along the length of its “branches”, so while we planted each plant at the top of the bank it’s now put down roots from top to bottom. 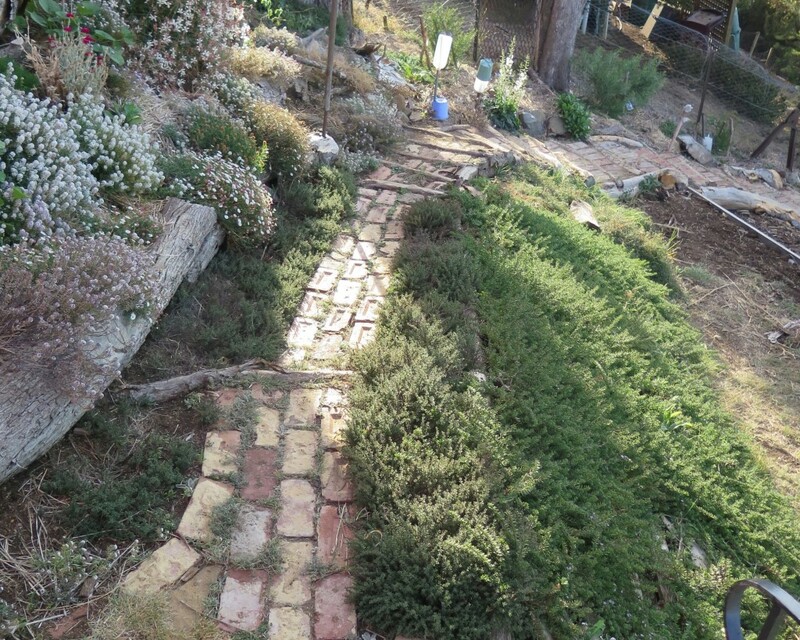 At the top of the bank is where the creeping boobialla meets a solid planting of garden thyme, an edible herb that is also a ground cover – we love the way they merge into one another seamlessly. 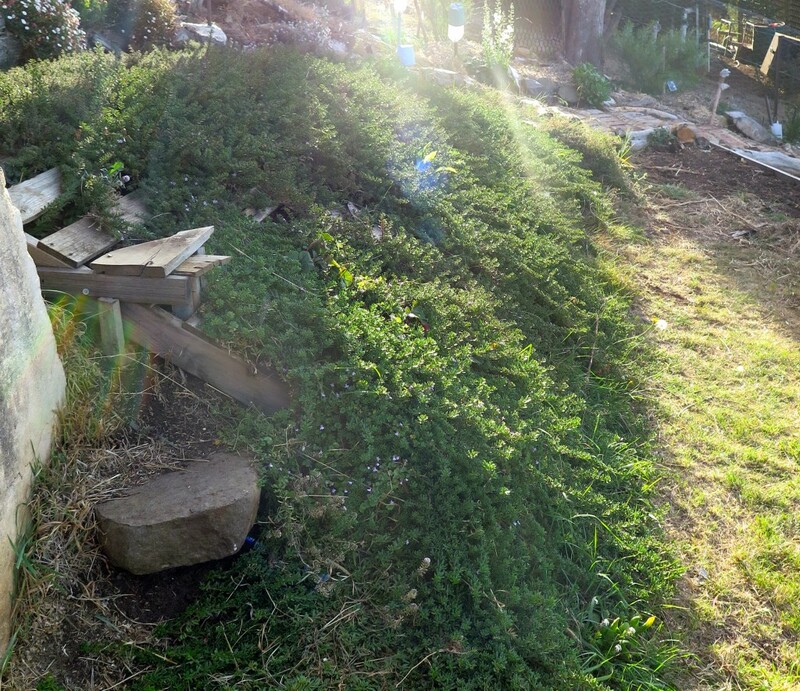 So in solidarity with all of you slope dwellers out there (it’s hard work, hey) we offer up yet another approach to working with steep, steep slopes to foster landscapes which are accessible, productive and beautiful. All power to you! 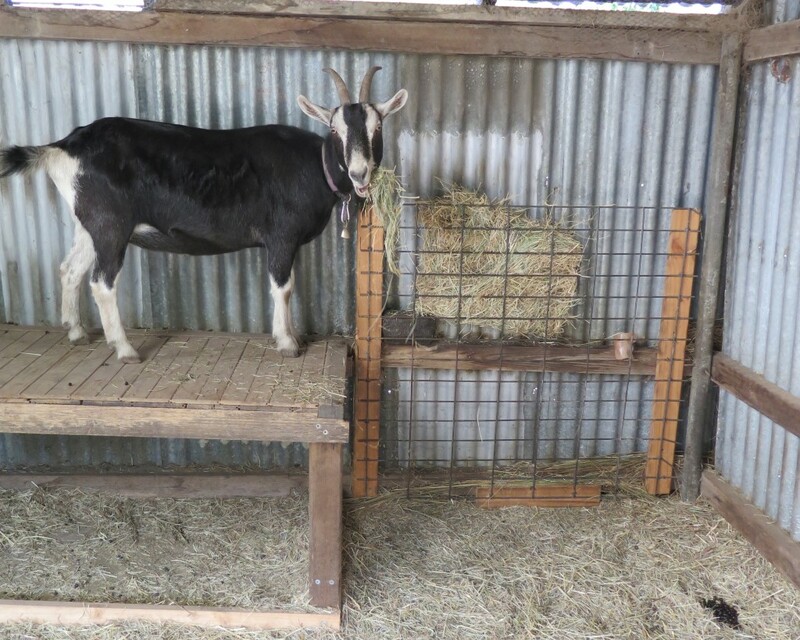 I’ve just finished a week of goat sitting Matilda and Pip – two Toggenburg goats who live on the edge of Hobart. 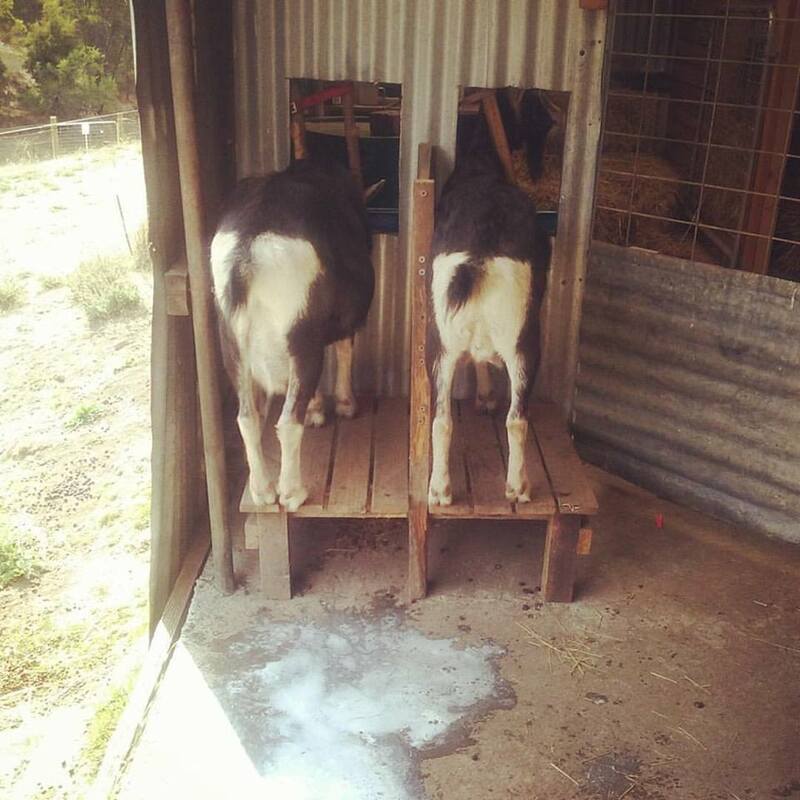 My daily trips to milk Matilda, pat Pip and lean on the gate watching them jump up onto high stuff in their paddock has got me all dreamy and desiring some of our own. 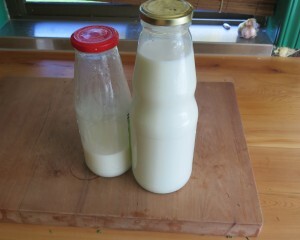 Pip’s the chilled one, while Matilda (the milker) a bit more bossy – I love them both. 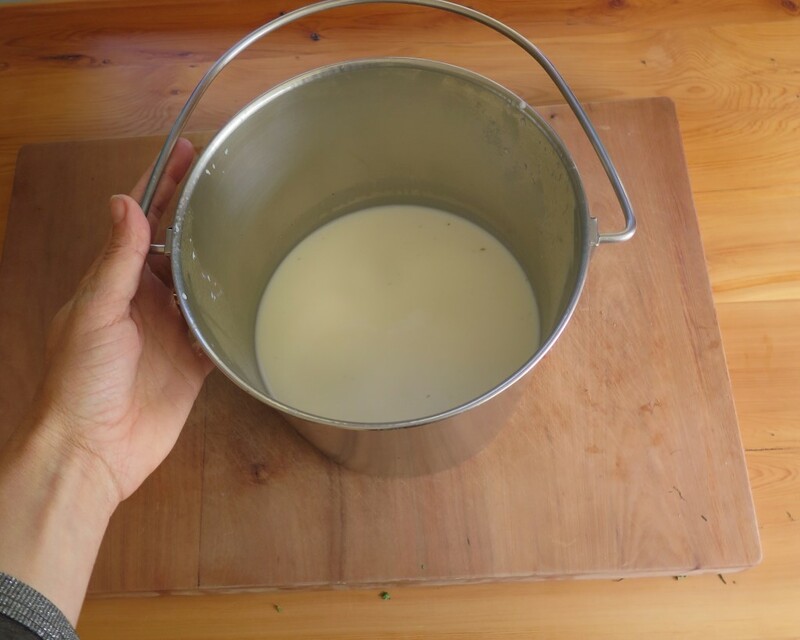 I love that milking just one of these relatively compact animals provides more than enough milk for a small household to make their cheese, have milk on our porridge and tea/coffee plus give some away to friends. My first day of milking them saw me with this image above – an almost full bucket of milk on the ground. 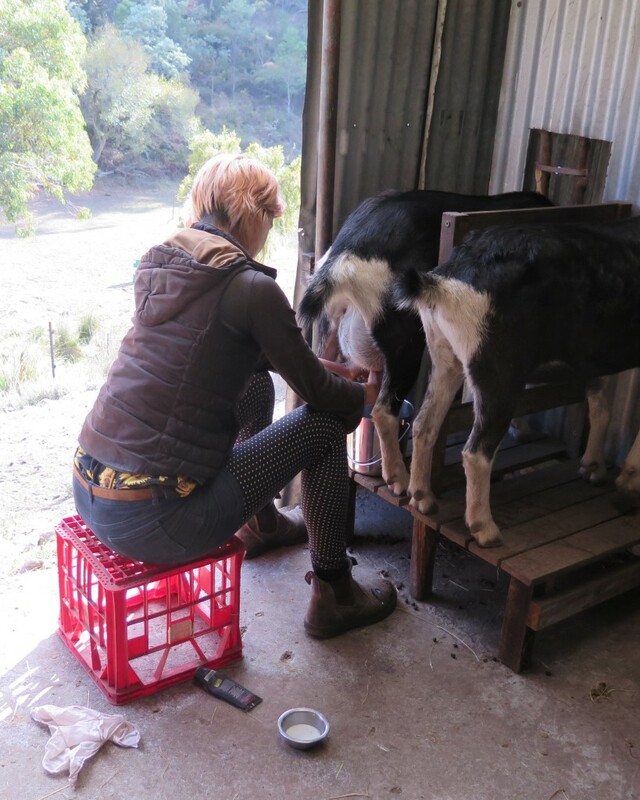 Trying to milk a goat and wrangle a *very* excited one year old who likes eating goat poo and trying to hug goats is hard work guys. Milking was more peaceful when she stayed at home! The internet tells me that there are over 300 goat breeds worldwide and the Toggenburg is considered the oldest breed that was registered sometime in the 1600s. I like them as they don’t conquer any fence (i.e. they can be contained), are fairly stocky and wonderfully natured. Our one year old daughter spent 1 second being a bit scared of them and the rest of the time trying to hug them. As we live on an urban block (1300m2) full of edible food, we don’t have space for our own goats. 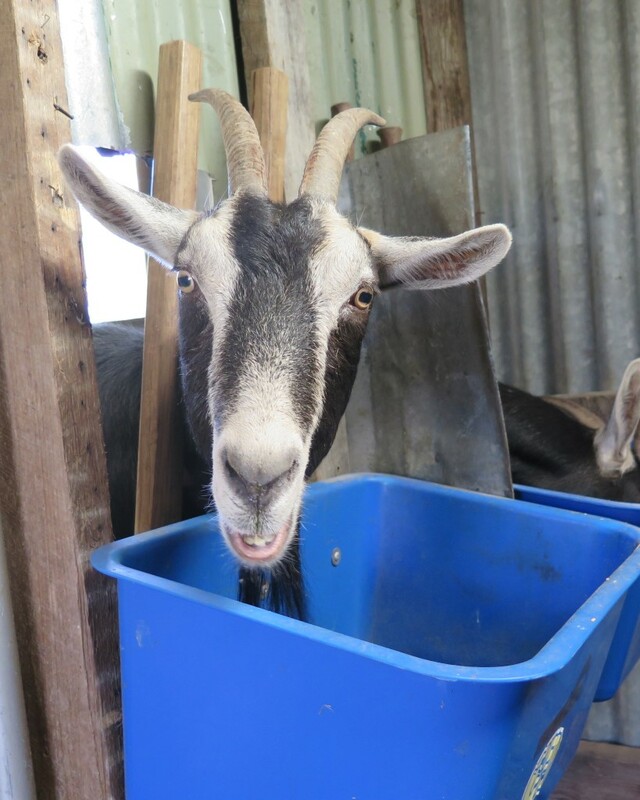 One day we’d like to be able to have goats in our neighbourhood, closer to home – perhaps shared with others. A little paddock we can walk to daily to milk and admire our goat friends. 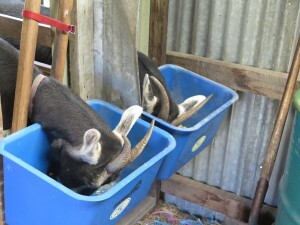 Until then I’ll be the first to put my hands up (both of them) to do any goat sitting in our neck of the woods. 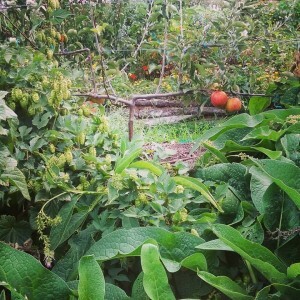 We get a lot of questions about comfrey and its role in the garden. It’s often toted as one of ‘must have’ plants due to its multifunctionalism, and overall we agree – this plant is unusually useful. However there’s also a fair bit of confusion about some of it characteristics, such as will it spread and take over your garden? Is it really a dynamic accumulator? Am I allowed to eat it? Doesn’t it deter fungi in the soil? So in the name of efficiency, I’m writing this blog to answer all these questions plus more. 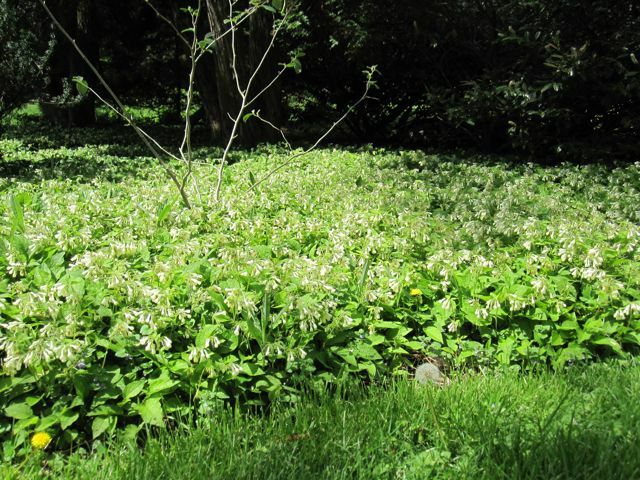 Creeping comfrey (Symphytum grandiflorum) is also known as dwarf comfrey and as its name suggests, it will creep through the whole space that you plant it in. Therefore only plant it if this is what you want. 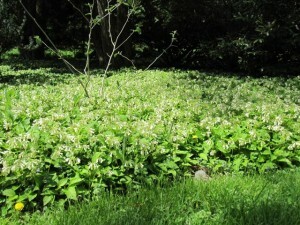 It’s also been described as ornamental comfrey. 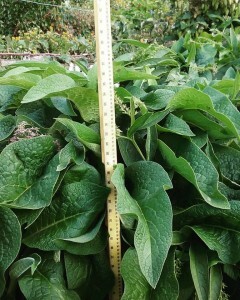 This is the comfrey that will quickly become a “weed” in your garden, so be careful where you place it. Image from here. Russian comfrey (Symphytum x uplandicum) is the most popular type of comfrey for the grower, it’s a hybrid of Symphytum officinale (common comfrey) and Symphytum asperum (rough comfrey). There are two main cultivars used, Bocking 14 and Bocking 4, both were developed in the 1950s by Lawrence Hills (founder of the Henry Doubleday Research Association) and named after the place they were developed, Bocking in the UK. Bocking 14 was apparently chosen from over 20 different varieties trialed by Hills due to having the highest yields with high potash content. Bocking 14 is sterile, so doesn’t set seed and can only be propagated by division. However it will still slowly increase in size so it’s wise to dig it up and divide it up every few years. Bocking 4 is said to have a deeper tap root – up to 8-10 feet, while Bocking 14 is around 6 – 8 feet. 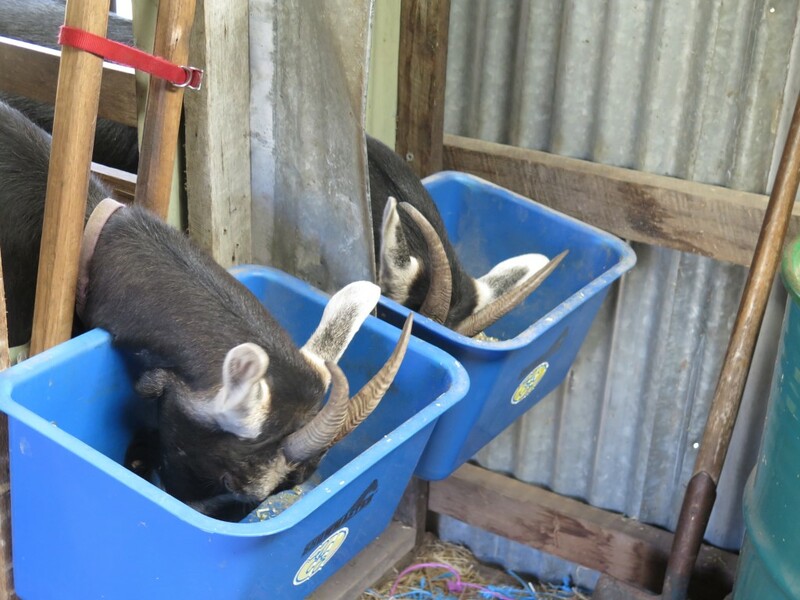 It’s described as the preferred type for a farming context as it has the highest concentration of protein, is more rust resistant and is also recommended as a good fodder for livestock, including pigs and chooks. Image from our garden. Along with a decent list of other plants, it’s known as what’s called a dynamic accumulator. However there isn’t actual solid, scientific evidence on how effective comfrey is in this regard. There are some well written, clear articles you can read about this here and here which summarise it nicely. My personal approach is that while the science it still out on its role as a dynamic accumulator, I still recommend this plant be included in your garden for a *range of reasons*. We use it to stablise slopes with its great root system, medicinally, as mulch in our orchard and as fresh food for our chooks. 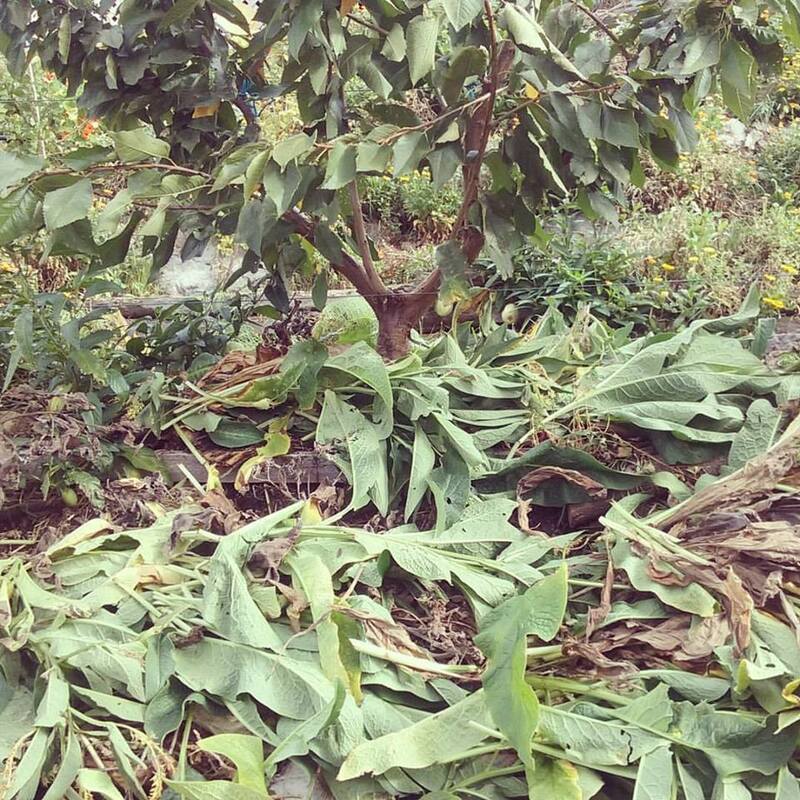 In our young orchard, comfrey is planted directly downhill of the trees, stabilising a steep bank, we slash the leaves and use them as mulch (image on right), cycling the nutrients back into the soil. 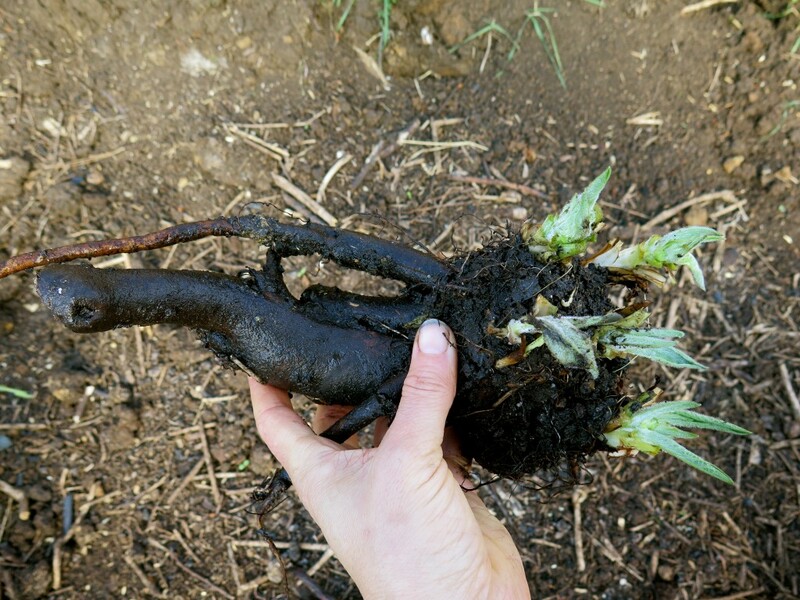 Despite the science not being bullet proof, you can’t ignore the countless gardeners who swear that by adding comfrey to your garden you end up with healthier soils and crops. There are endless methods you can do this, have a read here and here for just some of them. 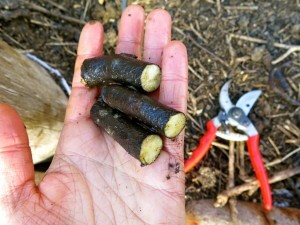 Comfrey’s antifungal – isn’t that bad for my soil? I’m not sure. In our own garden we haven’t seen any evidence of this and we’re really big on encouraging fungi in our soils through strategies like using ramial woodchips. The only references I could find to its antifungal properties were in a medicinal context, rather than gardening. Am I allowed to eat it? No, is the short, legal answer. In 1984 the Poisons Advisory Bureau (through the National Health and Medical Research Council) placed it on the Poisons Schedule in Australia. 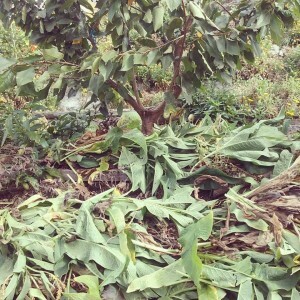 The Council listed comfrey as a dangerous poison, only to be available through pharmacists, by doctor’s prescription. This decision is thought to have come about due to a public scare in the late 1970s with newspaper headlines reading things like ‘Liver damage can be done by herbs’, ‘Popular Herb is a Killer’, ‘Scientist Warns Herb is a Killer’, ‘ Health Drink Causes Cancer, says CSIRO expert’ and ‘Comfrey is a Killer’. Why are people scared? Comfrey has pyrrolizidine alkaloids (PA’s), these are regarded as potentially hepatoxic, carcinogenic, and mutagenic. PA’s are believed to have an accumulative effect in the body and may cause hepatic vein blockage and liver toxicity. In the early 2000s the U.S Food and Drug Administration (FDA) also removed comfrey products from market for this reason. Can I feed it to my animals? My understanding that in moderation, yes. I feed it to our chickens as part of a mixed leafy green mix and they love it. Some folks say their chickens will only eat dried or aged comfrey (so the prickliness of the leaves goes away) – if you have rough comfrey (Symphytum asperum) this may be extra important to do. If you’re unsure – do some local research, talk to some animal experts or don’t do it. Also known as “knit bone”, comfrey leaf can be made into a poultice and applied to breaks, sprains and bruises. I’ve used this my whole life and there’s a notable improvement, i.e. decrease of swelling, bruising and pain, each time I’m able to apply a comfrey poultice quickly. As outlined above, you’re not meant to ingest comfrey at all. However I grew up drinking comfrey and dandelion ‘green drink’ my mum would make us when sick – without a doubt it helped us feel better (other ingredients included fresh apple or carrots and ginger). I actually have a memory refusing to drink it as I knew I’d get better quicker and was trying to take as many days off school as possible. But I’m not a health professional, so please don’t take this as advice, just note that I’m still alive, healthy and that to this day I continue to eat and drink comfrey sporadically (not every day) as I want to. If you’d like your (non-creeping) comfrey to remain a blessing and not a curse, don’t plant it in your annual vegetable garden/s. No matter what variety you choose, the seasonal digging that you do to harvest crops and prep the bed will inevitably result in you digging into the comfrey’s root zone. Each time you chip a bit of the root off it will blossom into its own vigorous plant and eventually take over the whole veggie patch. Instead, plant it somewhere where you won’t be digging – like your orchard, a designated bed or beneath/amongst some perennial vegetables/berries. Saying all that, I do know people who like to grow it on the edge of the annual gardens as a border to prevent grass from creeping in – this is risky business as I’ve outlined above. You could however plant comfrey on the *outside* of the annual garden which I’ve seen many times. There’s a border (i.e. timber sleeper) between it and the actual garden bed, keeping it contained while still highly accessable to chop and drop as mulch onto the garden. Comfrey is dead easy to grow. In short, hack a small chunk of root off and pop it in the ground – it will grow. You can read our blog about how to do it here. 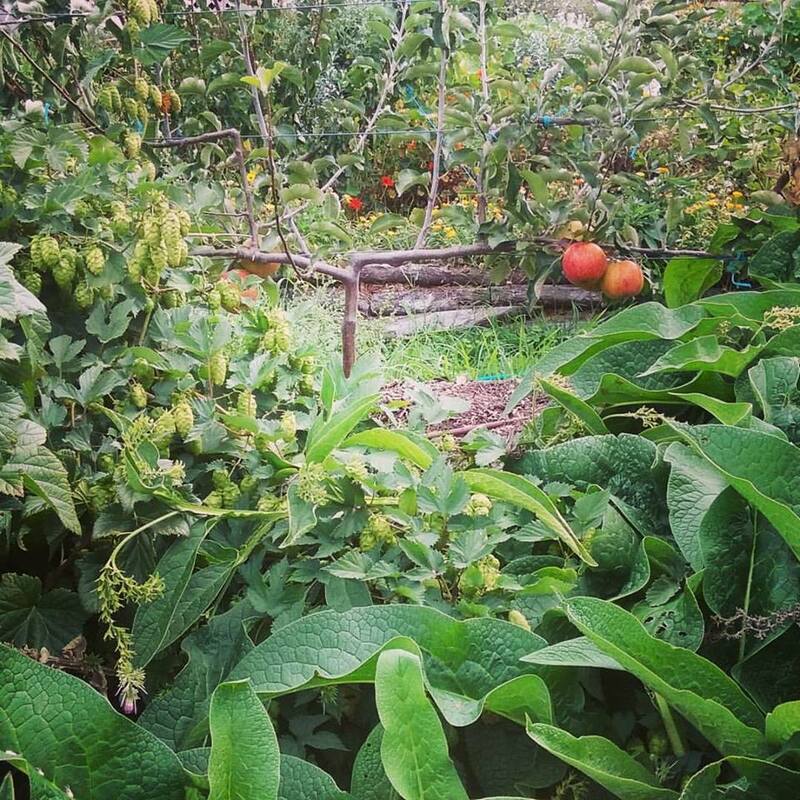 I’m no expert on comfrey and am always interested to learn more, so please send through your own experiences and information on what works (or doesn’t work) for you.